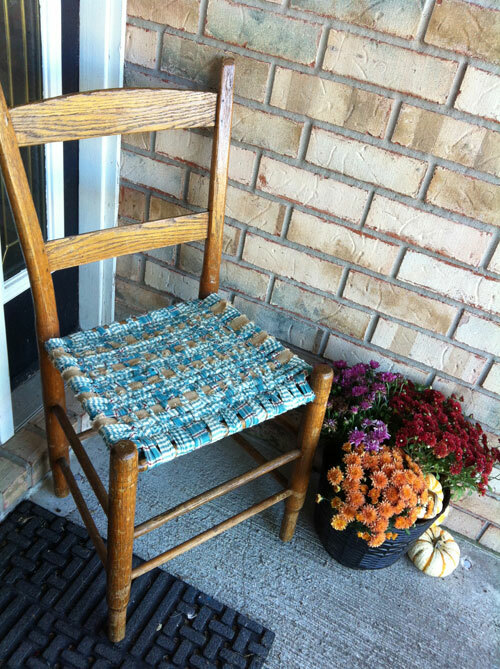 Last weekend we were checking out the local antique stores and flea markets when I came across a great deal on a woven cane bottom chair. 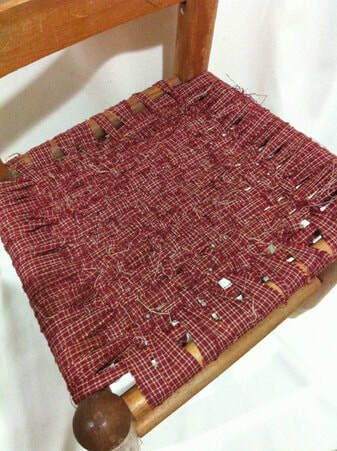 I'd seen fabric used for woven seats before so I decided to make my first attempt at weaving. I used blue homespun fabrics﻿ and a 1" wide burlap ribbon. First, I had to removed the old damaged seat. 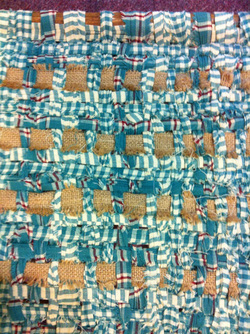 Then it was just a matter of tying fabric strips in one direction and then weaving fabric strips in the other direction. It was actually much simpler than I had expected and I absolutely LOVE the results! Here are a few pictures of the process. Check out our blog: www.Rags-n-Rhinestones.com for a more detailed tutorial. 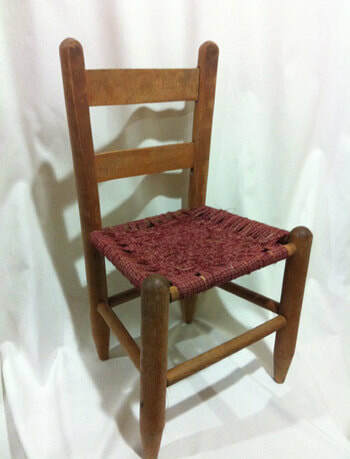 Updated: I recently came across a small, child size char with a missing seat so naturally, I had to create a rag strip chair for our grandson James who spends a lot of time here in the studio. 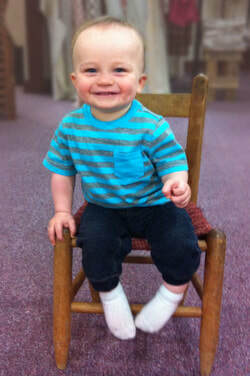 I think James likes his chair!